Jamie was invited by Wallpaper* to design a one-off ‘offertory bag’ with leather specialists Studioart for the annual Wallpaper* Handmade exhibition, launched at Salone del Mobile 2017. “While researching offertory bags I came across many historic examples that were both deep and lined in richly tactile material, like luxuriant velvet. I interpreted this as an attempt by the church to endow the act of almsgiving with a brief moment of pleasure. I began to imagine a bag where the act of reaching inside became a sensory journey. Three iterations of the offertory bag were created: one with a tough, black outside and a soft, warm interior; one with a mild, malleabale outside and a prickly interior; and one with a natural, hairy outside and a slick, cool interior”. Jamie’s ‘Dig Deep’ bags and concept sketches are featured in this month’s Wallpaper* Magazine. 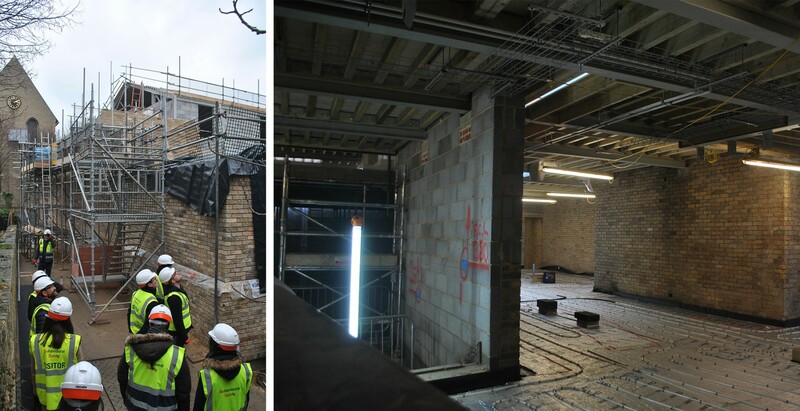 In order to enjoy and learn from the project at this critical stage of construction, the whole JFA team visited the site at Kettle’s Yard. After looking at the construction drawings together, we walked from the existing Leslie Martin building through to the reconfigured galleries, then from the excavated basement education room up through the new building to the second floor, with its completed roof beams. We are very grateful to the builders, SDC, who accommodated us all for the afternoon. 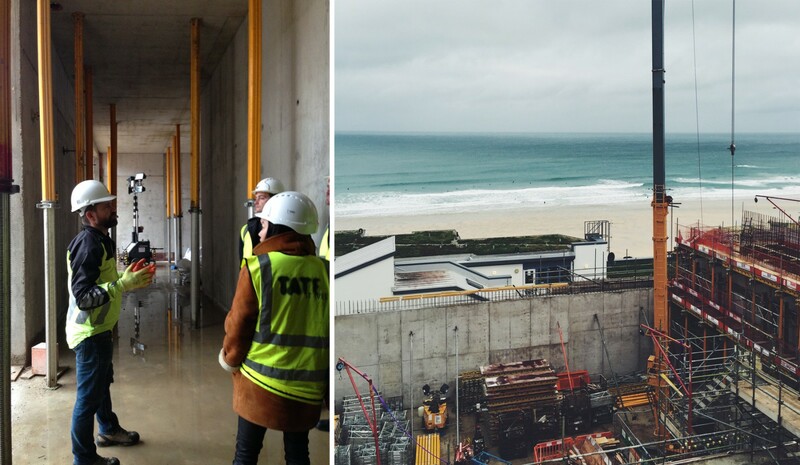 This weekend, the entire JFA team travelled to St Ives in Cornwall to see our new gallery for Tate in construction. We visited the windswept site, overlooking beautiful Porthmeor Beach. We were able to walk around the new gallery, still open to the sky, its 6.5m-high walls constructed using local concrete. 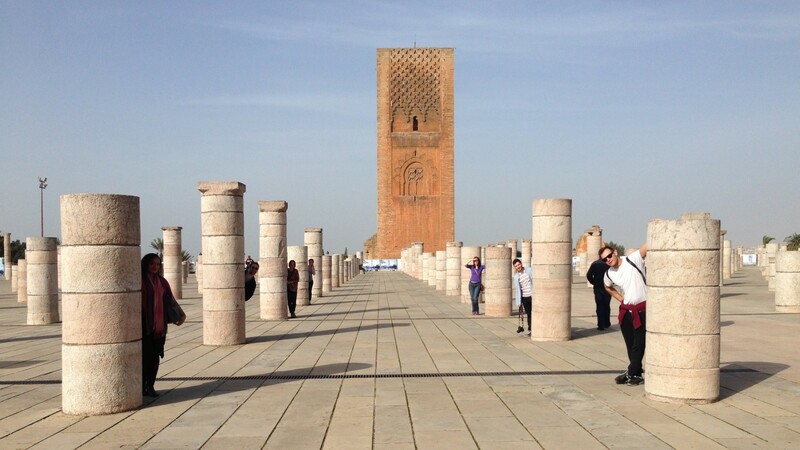 An adventurous research trip to Morocco allowed the JFA team to explore different uses of pattern in tiles, stonework and mosaics and to experience living in a Riyad, where domestic spaces are configured so differently to traditional English houses. 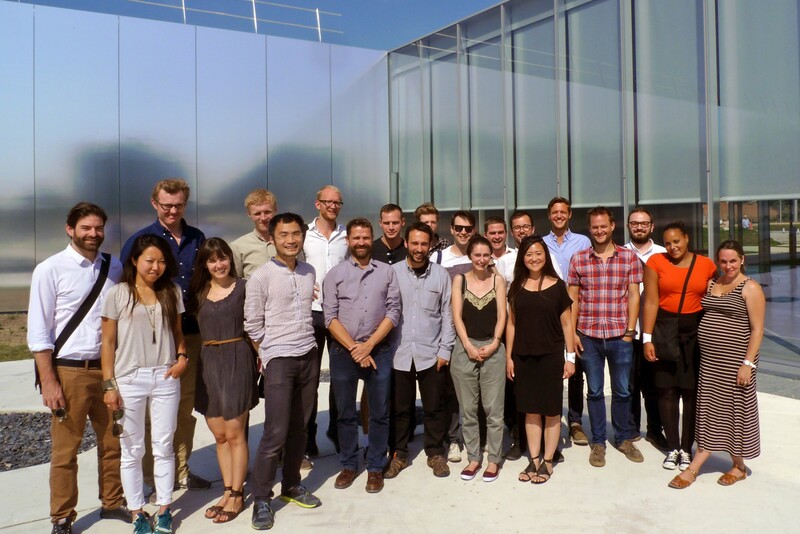 The JFA team spent a day visiting the recently opened Louvre-Lens. Designed by SANAA, this low, light structure has been built on the site of a former coal mine. With a number of museum and gallery projects currently in our studio, this was a worthwhile and informative trip – and fortunately for us, the museum hosts a wonderful restaurant. 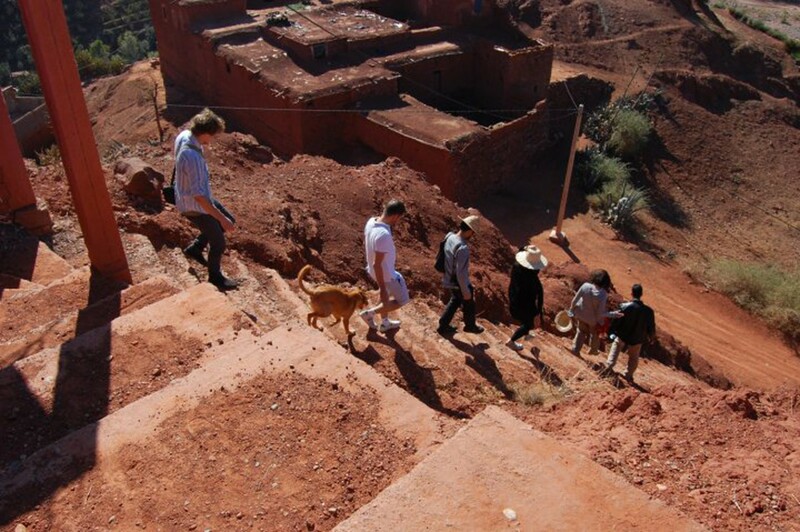 A research trip to Marrakech included a visit to see the gilded plasterwork of the Saadian tombs and an escape from the hubbub of the market town to the Atlas Mountains, where we were invited into a square-set, mud-plastered Berber home to join in a wedding celebration. In association with the V&A exhibition ‘Hats: An Anthology by Stephen Jones’, JFA designed and made a magnificent hat to participate in a hat design competition. 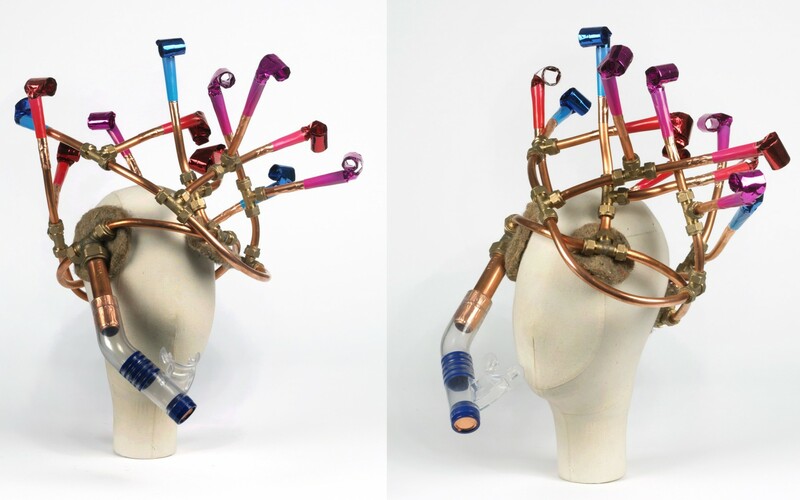 Constructed from copper piping, a snorkel and party blowers, the hat was presented on the catwalk with dignity and cool, with a surprising ‘toot’ on the blowers at intervals. The JFA team were very proud when Stephen Jones selected the hat as the competition winner. We flew to Seville to explore the architecture of this 2,000 year old city. 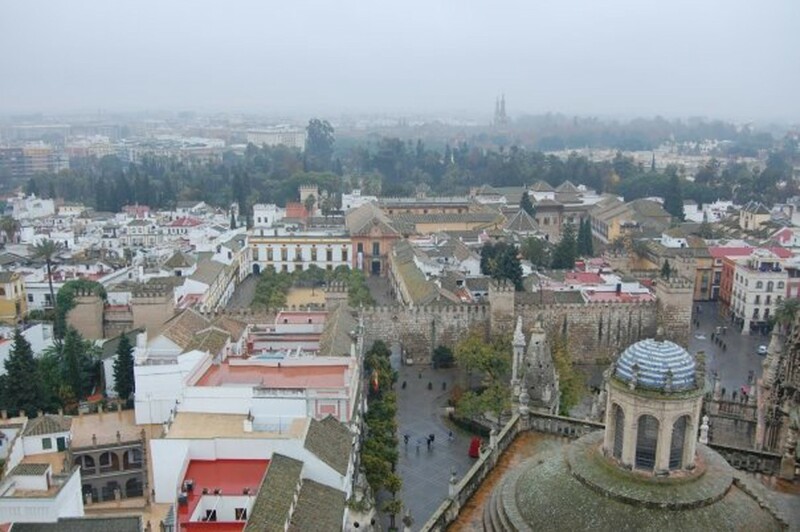 From the top of the Giralda – the Cathedral bell tower – we could see the layered texture of the city, including the beautiful historic royal palace, the Alcazar. To celebrate the birthday of one of our clients, we created a model of their house – which was at the time in the design development stage – made entirely out of Konditor & Cook’s finest cutting cake. For a ‘Friday Late’ event in association with the V&A exhibition ‘Blood on Paper: The Art of the Book’, JFA were invited to decorate an existing copy of a randomly selected vintage book. We were given a well-thumbed Penguin paperback edition of P.G. Wodehouse’s Right Ho, Jeeves. Rather than adding to the book, we decided to subtract from it. 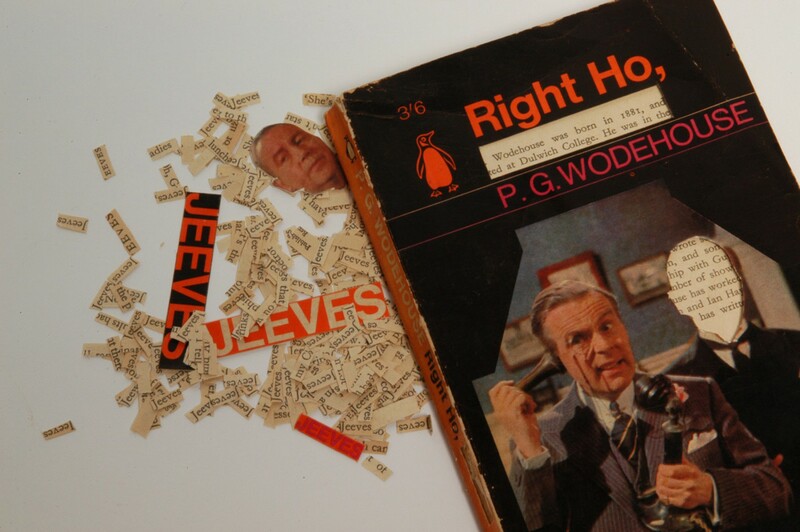 Painstakingly, every single mention of ‘Jeeves’ was cut from the pages, even down to the removal of his face from the cover. Our clients Konditor & Cook launched a fundraising initiative called ‘Cakes by Creatives’, inviting designers from a variety of disciplines to create a special edition of the boutique bakery’s signature ‘magic cakes’. Instead of icing a pattern, JFA decided to slice into the cakes. 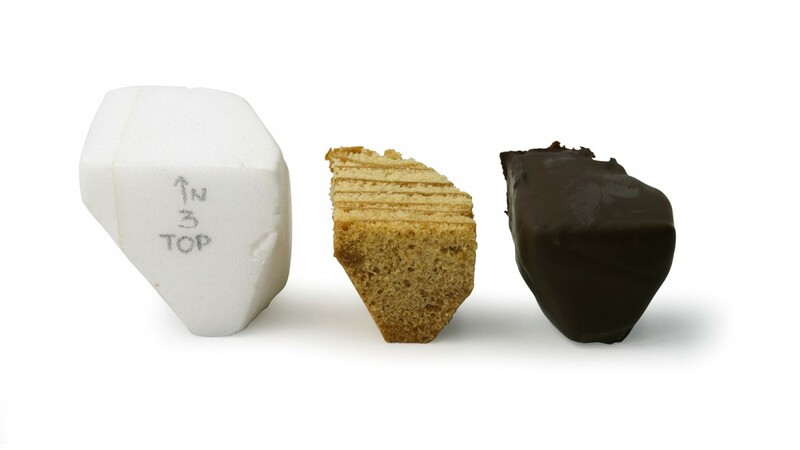 Inspired by Barbara Hepworth’s Group of Three Magical Stones, we carved the little cakes into unexpected, angular forms, coated in a dark, glossy chocolate. We created a series of cast plaster models to develop the roof forms for our first Tate St Ives project. This inspired an Easter gift to the Tate St Ives team: a very special chocolate edition. We used high quality, rich, dark chocolate, with a hint of spice, layered carefully into the silicone mould.